Love is one of the most fascinating emotions ever. But does it have to be just one type of love? Heck no! I want to write about the different types of love we can experience, and just what we can do when we’re motivated or empowered by love. Firstly, I want to try and explain the intention of love. Perhaps we feel love for people that were kind to us, people who inspire us, our families and those we’re attracted to, for the intention of helping us realise that these are wonderful people that we should keep close. Even though that’s the intention of love, and because of that, love is often selfish, as in “love means to have someone”, I still believe life is more enjoyable if our love becomes something giving. But now, we need to talk about the different ways you can love. I believe family love is that unconditional love you have for your family, and knowing that love will never go away. Sometimes, love for yoru family can be taken for granted, because you see them a lot. I believe it’s important to cherish your family and spend as much time as you can with them, while you can – because life is unpredictable. You may not even be able to imagine it, but one day – perhaps those who loved you unconditional will no longer be around. I believe there can be a special type of love for a child, perhaps it’s the desire to protect them from harm, or that their innocence is simply adorable. Perhaps it makes you want to look after them, or to make sure they’re safe. Whatever it is, love for children is really precious, and one of the greatest miracles in this world! 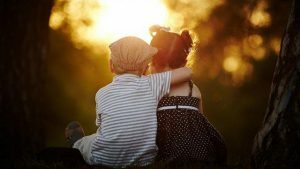 Friendship love is when you love your friend. Pretty easy, isn’t it? I believe friendships can be as powerful as any type of love, because friends share so much together. It would be strange if no love came out of it! Sometimes, it’s easy to take friendship for granted because we get to see our friends a lot. But loving a friend can be simply helping them out in times of need, having fun together and simply being there for each other! This is a really interesting one I’m not sure if it’s often talked about. There’s a type of inspirational love that I call admiration/respectable love, and that is when there’s someone in your love that you love dearly, but it’s because you admire and respect them. Perhaps they’ve inspired you, perhaps they have done something for you that’s unforgettable, whatever it is, you simply want the best for them. There are a few people I can say that I have the utmost respectable love, male or female. Some of them are my teachers – that should give you a pretty good idea. For me, the things I want to do for the people I love int his admiration/respectable way, is simply to see them happy. Knowing that they’re in good health and happiness, as well as knowing that they know how much they mean to me, is enough. Something that one of my all time favourite shows, Seven of the Sky and Chinese Paladin taught me was, that love should be selfless. Loving someone should be to wish them happiness. Seeing the person you love being happy, whether you are the source of their happiness or not, should make you happy. That’s the definition of true love.